If you didn’t know, November is National Family Literacy Month. To celebrate and support the occasion, the National Center for Families Learning (NCFL) will release “30 Days of Families Learning Together,” a month’s worth of family literacy activities and practices designed to work for families where and how they live in today’s world. It will feature popular content from Wonderopolis, Family Time Machine, and other NCFL resources to inspire and engage families in learning together. The content will be available as a click-through gallery and also as a downloadable PDF. Gallery scrolls are exceedingly popular right now, so the format makes it ripe for online sharing. Using a title “30 Days of Families Learning Together” gives a “go-to” resource for family engagement general awareness at any time during the year. Parents and providers can click here to sign up for “30 Days”. Feel free to share this information with your networks and families. Believing it’s never too early to think about college, Long Beach public officials and educators plan to take their message to the earliest learners — preschoolers. 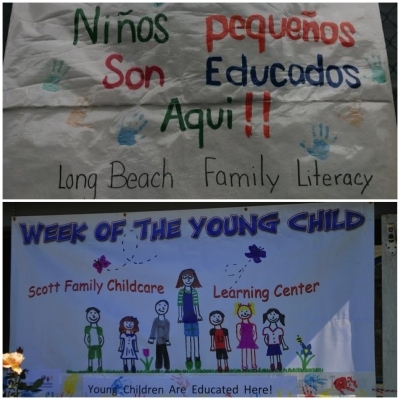 Nearly 100 miles separate Lancaster and Long Beach, California, but in the realm of early childhood education, there is no distance between excellent teaching and fruitful outcomes. Counting steps to the mailbox. Pointing out how much bigger a tree is compared to a sapling. Identifying the shapes of houses, road signs or other objects around you. These are all ways that parents introduce math concepts into the learning of very young children. Early math can be fun and easy, and both parents and children benefit from the shared experience of talking about the math that surrounds us. According to the National Institute of Child Health and Human Development, approximately 1 in 5 adults in the United States has difficulty understanding middle-school math. Unfortunately, this difficulty with math translates into difficulty managing many important tasks—like following recipes and calculating change. Familiarity with early mathematical concepts paves the way for more complicated mathematical and logical thinking in adulthood, which can be helpful in jobs and in other areas of adult life. Studies have found that the more early math concepts children are familiar with by the time they enter school, the more likely they are to do well in math and other subjects later on. Much like vocabulary and early language skills, early math skills develop from infancy through simple interactions with loved ones. Early math is much more than just counting, however. Parents and caregivers can help their children develop an appreciation of math by using opportunities throughout the day to talk about math concepts like numbers, size order and shapes. Parents can help their children learn to love math by incorporating math talk into every day activities and by encouraging their children to talk math back. No matter your comfort with middle-school math, working early math language into your day with your children is easy to do and will help them in the long run. These tips from NAEYC help parents of infants and toddlers incorporate math talk and math activities into every day routines. This article in the Seattle Times points out how children’s math problems begin before kindergarten—and how caregivers can help. LOTS of different tips and resources from Math at Play for parents on how to incorporate math into everyday learning. All humans are supposed to be creatures of habit, but children really thrive on habit and routine—even when it appears otherwise! Children deeply benefit from routines that establish healthy habits like regular sleep, nutritious meals eaten around the dinner table, and an organized home. This is because daily and family routines help children develop the cognitive, emotional and social skills they will need to succeed in school and beyond. Researchers encourage establishing routines with children from infancy for various reasons. Routines help children learn that they can trust and depend on adults—a valuable asset for emotional stability in relationships and an important way to establish parent-child bonds. Meaningful routines—like the ones we practice as rituals during Thanksgiving and other holidays—help children feel like they belong to a community, and improve their social skills. Some research even suggests that children living in families with regular routines suffer from fewer illnesses, like respiratory infections. Parents and caregivers can help children establish healthy routines that have direct and life-long benefits. For example, parents can read books with their babies and young children at bedtime to help them sleep better. Parents can also establish regular times of conversation, like around the dinner table, to improve bonding and stimulate language. Finally, parents and caregivers can use holiday gatherings like Thanksgiving to instill a sense of tradition and history in the family. This article from the AAP explains how various routines throughout a child’s day can improve moods and benefit development. This article from Raising Children Network offers tips for how parents can incorporate routines and ritual into family life. A reminder that quality time can happen in short intervals—even for busy families! A cuddle. A warm smile. Softly spoken words. All of these things help babies feel comfortable and secure, and help them learn that they can trust the adults around them. The more safe and secure babies and young children feel, the more easily they form healthy relationships with others, and can turn their attention to learning. Early brain development researchers have found that the emotional and social development of children is as important—if not more important—than their cognitive development. This is because when children form secure attachments (close emotional bonds built on love and trust) with parents and caregivers, they more easily explore the world around them, regulate their own emotions, and can comfort themselves when needed. If a young child has formed insecure attachments (emotional bonds characterized by unpredictability and fear), they may not know how to safely and appropriately interact with other people and their environment. The bottom line? Secure attachments help a child build the skills they will need to succeed in school and in their adult lives. Parents and caregivers can help build their child’s social and emotional development in a few simple ways. Even if the reason for crying is unclear, it is important that a parent or caregiver respond calmly and affectionately to reassure the child. Established routines are also important in helping babies feel secure, even if the routines are adapted from time to time to accommodate a child’s needs. And small actions—like looking into a baby’s eyes when talking, or gently stroking their forehead at bedtime—can help increase the sense of bonding for both parents and child. PBS’s special feature “This Emotional Life” explains why emotional bonding is so important for children’s health and well-being. Our blog post on the special role of parents in young children’s lives offers ideas for ways to improve bonding. Bonding with fathers is the focus of this article from Kids Health, which offers ways that fathers can build strong emotional bonds with young children, too. When young children dress up as superheroes or doctors, or imagine that a cardboard box is a spaceship landing on the moon, they are taking part in pretend play. By pretending, children build their social and emotional development, and learn vital life skills, all while having fun. Children explore their feelings about new situations and interactions with people through pretend play. Researchers have found that imaginary play helps children learn how to control their emotions and impulses by allowing them to practice first how they will speak or act in any given situation. Much like adults might practice a speech in front of a mirror, children use pretend play to prepare how they will behave in real life. And when they engage in pretend play with other children or adults, they learn how other people react in different situations, too. Pretend play also allows children to test out language skills that they may otherwise be unsure of, as they talk out loud about their actions and those of imaginary friends. The best kind of pretend play doesn’t require special toys or equipment: simple, inexpensive items lying around the house work great. Parents can encourage pretend play in their young children by providing them with safe, household items like old clothing and recycled cardboard to prompt their imaginations—and by joining in the fun, too! This article from PBS Parents suggests some ways that parents can encourage pretend play in young children. Research on the importance of imaginative, open-ended play from NPR. This article from Mister Rogers’ Neighborhood explains the benefits of pretend play, and offers tips for parents. These powerful quotes might inspire you to engage in imaginative role-play with your kids. 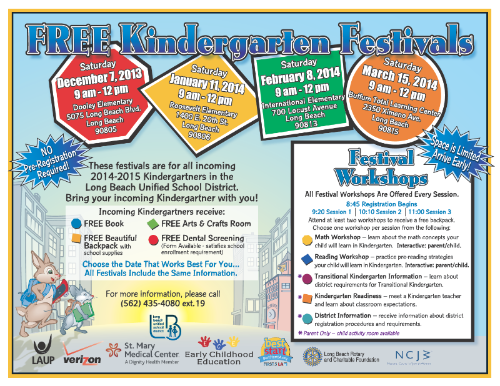 A day to come learn, explore and play the games “little builders” have created using their imagination. Watch it again! Stream the webinar recording here. Early Edge California’s SB 837 FAQs are now also available online. For additional questions regarding SB 837, please contact sb837questions@cde.ca.gov. We want to continue to keep you informed of the latest SB 837 updates. Next month, please look forward to our next SB 837 webinar with the California Department of Education. The state is emerging from recession and the associated spending cuts to social services. It is time to make wise investments in the future. An ever growing body of research suggests that early childhood programs provide the largest returns of any social investment. New brain imaging research continues to build the case for the importance of the first three years of life for healthy development and positive outcomes. There are federal funds available for states that are committed to providing high quality care and support for young children. As California continues its investment in K-12 education, policymakers would be wise to recognize the importance of ensuring that all children arrive at Kindergarten ready to succeed. Support for infants and toddlers must include resources to promote good health, strong families, and positive early learning experiences. For a more detailed analysis of the Governor’s proposed budget please readCalifornia Babies and the Budget 2014. The FY14 Consolidated Appropriations Act, 2014 (Public Law 113-76) makes important education investments, including $250 million in new Race to the Top to States grants for improving early childhood care and education. On February 4, 2014, U.S. Secretary of Education Arne Duncan announced on a call with U.S. Secretary of Health and Human Services Kathleen Sebelius that the Administration plans to use the $250 million for a major new competition to build, develop and expand high-quality preschool programs, working with local communities and with states across the country, including the District of Columbia and Puerto Rico. emphasize the importance of partnerships for two-generation approaches. View the briefing video for a dynamic discussion on how the early childhood field can support skill-building and education for parents, encourage integrated local systems, and leverage the important roles of philanthropists and policy makers. How do two-generation approaches work? What are the core components? Where are opportunities emerging? The Two-Generation Playbook is now available to answer these questions. Learn more about the key components of two-generation approaches and how you can apply them in your work. You can also download infographics that will help you explain the power of the two-generation approach in your own work. Great Start Legal Workshop: Are You Ready to File Your Tax Return? To register, please CLICK HERE and follow the directions to submit your information online. Deadline to express interest in participating is Monday, February 3rd at 5 p.m.
Our goal is to have 25 families participating, so we’d like everyone to work hard to recruit families for this upcoming session of PALs. Enroll now for Spring classes at Long Beach City College! It is with a heavy heart that I inform you of the loss of Mrs. Claudette Powers. Mrs. Claudette was a very passionate and dedicated community leader and was always available to give of her time. I and many others always referred to her as the "voice of reason" as she always had encouraging words of wisdom. She will be dearly missed. We do not have any details on services but we will share more as we get it. Please keep her family in your prayers. Bolivia, Brazil, Canada, Chile, Costa Rica, Ecuador, Guam, Japan, Korea, Mexico, Panama, Paraguay, Peru, Philippines, Puerto Rico, Taiwan, United States of America, Venezuela). Soroptimist member, employee or immediate family of either. The achievement gap, reading by third grade, the drop-out rate, workforce development, the cycle of poverty, economic growth — all of these issues would be significantly improved by expanding access to quality early childhood development programs. The mountain of research and experiences of other states and countries tell us that programs supporting young children’s lifelong health and learning, from voluntary home visiting to preschool and transitional kindergarten, could solve some of California’s biggest problems. What’s more, these programs more than pay for themselves over time. We also know from California’s history of public policymaking on early childhood development that convincing research and compelling stories won’t be enough to move policymaking forward.It’s also going to take well-organized public pressure. We’ll continue to promote these programs among policymakers in Sacramento along with many of you and keep you updated on what we're learning. Key measures of children’s early learning and development are highly predictive of achievement in school and throughout life and show pronounced disparities based on race and family income, according toThe First Eight Years: Giving Kids a Foundation for Lifetime Success, a new report by the Annie E. Casey Foundation released in partnership with Children Now. Highlighting that nearly half (49%) of California’s 0- to 8-year-olds now live in low-income households, the report found large numbers of at-risk young children also are not receiving critical supports and preventive services they need to succeed in school and beyond. For example, too few infants and toddlers are receiving screenings for developmental delays or attending preschool, putting them at a marked disadvantage. The report calls on California to invest more in proven, cost-effective early childhood development programs to help break the cycle of poverty and narrow the achievement gap, both of which are limiting the state’s success. Sign on to the support statement for expanding early childhood development programs and help build the organized public pressure needed to get it done. We are pleased to release our latest report, From aspiration to attainment: Practices that support early childhood degree attainment, Los Angeles Universal Preschool's Child Development Workforce Initiative. This study, which sought to understand what distinguishes students who are successful at earning degrees or transferring to four-year institutions from those who are stalled in their progress or who dis-enroll from school, offers insight and recommendations that can be applied to initiatives across the country designed to support non-traditional college students both within and outside of early childhood education. This study found that both college staff and students identified services such as enhanced academic advising, mentoring, and scholarships and stipends as critical to academic success. The study also explored the role that general education coursework, workplace environments, family relationships and obligations, finances, and prior academic preparation have in supporting or hindering academic success. Read the executive summary or full report. More than 12 million children currently live in households where at least one parent is unemployed or underemployed; about 11 percent of those children, or 2.8 million, are five-years-old or younger. This population has approximately doubled in size since before the United States recession, and shows no sign of decreasing. Families that experience unemployment come from a wide range of ethnic, racial and economic backgrounds, though unemployment tends to be most heavily experienced among African American and Hispanic families. Children who live in homes where parents or caregivers are concerned about a severe decline in income experience a great deal of stress, and often have access to fewer important resources like high-quality childcare, nutritious and regular meals, health care and learning materials. This can be especially damaging for very young children because early experiences have a tremendous impact on their long-term health and well-being, and can impact their preparedness for kindergarten and beyond. Often, parents experiencing job loss can also be depressed or more irritable, affecting the quality of parent-child bonding and causing these important relationships to be stressed. Parents and caregivers can help minimize the effects of unemployment on their children. Skills like learning how to focus on tasks at hand, set goals and make plans, follow rules, solve problems and control impulses are all helpful for parents and caregivers to know so they can protect the emotional well-being of their children. In addition, there are important government resources that parents can apply for to help their children receive basic things like health care and food while they are unemployed, and also to help them manage finances and taxes during tough times. Two representatives from the PEACH component of the Los Angeles County Early Care and Education Workforce Development Consortium, Dr. Jan Fish and Kisha Williamson, have been participating in the CTC meetings in Sacramento focusing on a possible ECE Credential in California. Recently, both of them were asked to be part of a Task Group assigned to research current credential models and bring recommendations back to the CTC in February.